Stealth Cam introduced their new WX series which comes with options to use the AT&T or Verizon Wireless networks for image transmission. The cameras can be completely controlled remotely through the cellular connection. Hunters use the Stealth Cam Remote App 3.0 to take control of their cameras and to download images taken. The app allows to remotely configure and manage the cameras. All settings are available to conveniently change parameters on the camera through the app. It is even possible to delete images from the memory card so you can prolong the time the camera records while you don’t have to physically go there! The new features introduced include the ability to take a test photo. This is a practical feature to verify connectivity to the camera as you can trigger the test photo through the app and verify that reception is there by receiving the image back. In addition you can that way also have the camera take and transmit a photo at anytime on demand. Another great features is the geo location management. It shows you on Google maps where the cameras are located. This comes in handy when you have more than one camera out in the field. Plotting it on Google maps provides a good visual reference to the camera’s location. Yet, it’s not all about the cellular and remote capabilities of this camera. 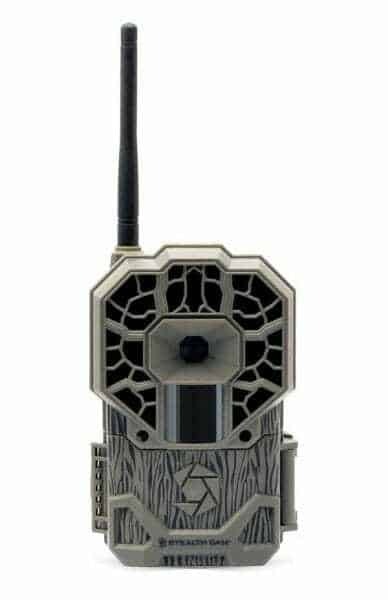 While it is capable of connecting to either Verizon Wireless or AT&T on their fast 4G/LTE networks, it offers a lot of other features you’d expect from a trail camera. In the end the remote features are nice but if the camera part doesn’t keep up then why would you want to get it in the first place? The WX series sports a 22 Megapixel camera with 42 No Glo IR transmitters. Photos can be taken in either 4, 8, 16 or 22 Megapixel resolutions. The higher the resolution the better the image but you also burn through your storage capacity faster! The camera is capable of managing SD cards with up to 512 GB to allow extended use in the field. The reflex trigger reacts within .5 seconds to detected motion. This quick reaction time ensures that animals are still within the visible area when the camera takes the picture. Besides the photos you can also have the camera record high definition video. The video duration can be between 5 and 180 seconds and audio is recorded together with the imagery. The camera also features Stealth Cam’s new Smart Illumination Technology. This feature allows to adjust the IR output based on the surrounding light conditions. This provides the optimal level of lighting for taking images which results in clearer and more detailed photos especially during dusk and dawn hours. The camera runs on 8 AA batteries and has a 12V power jack to connect external battery packs if desired. There are additionally USB and Video output plugs to connect to the camera physically.